It took me a full bomb stock into the True Last Boss, and then I finished with 0 bombs left, after slipping up on the final pattern. Thankfully I had the spare bombs to still get the Lx4. What about the Top Scores section at the top? My rapid settings are A+2, C+2. This was a really fun clear. Original MAX gets very intense towards the end... dat bullet speed. Might try pushing this a bit further, but the reliance on point blanking as the main scoring technique is a little off putting. We'll see. Sorry about the crap pics. Finally made it to the stage 5 midboss in Maniac MAX. I can make it to the stage 4 midboss somewhat reliably now, so I think the clear is within reach. Maybe. Ultra is fun. 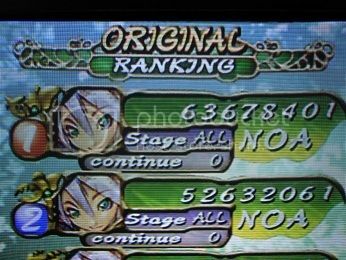 This run was totally crazy; I've only been practicing stages 1 and 2 routinely so far, so all of stage 3 was improvised. It was totally awesome. What mode are you playing? Original, Maniac, Ultra? Max or not? I'm guessing Original. Otherwise scoreboard is up to date. New Maniac MAX score. Still not able to clear, but I'm getting much better at overall survival and score play. I'm on the leaderboard, gamertag Doudinou. Updated with the last 3 scores. One question: which is considered harder, vanilla or 1.5 Mushi (original)? 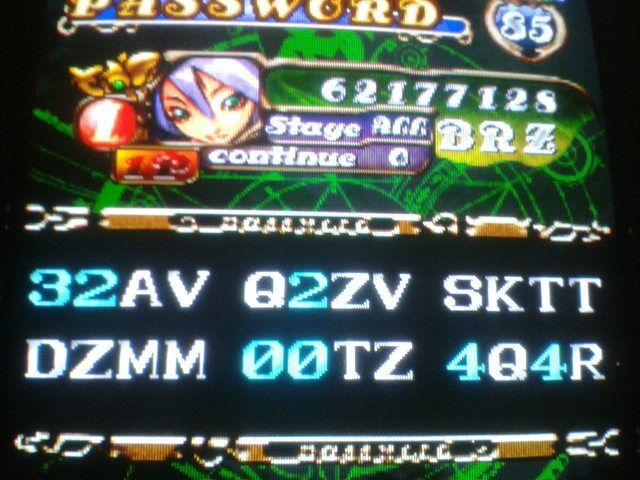 I thought "geez, I don't remember this thing being so easy"
I've been playing Maniac mode lately thanks to emulation and getting a chance here and there to play on ookitarepanda's PCB. I managed 198 Mil in Maniac mode after a couple more attempts this week. Such an awesome mode, I can't explain it but my tapping techniques are even better now that I'm playing on stick. Used to play on a PS2 pad on the port back in the day... a personal favorite. Still fun. More people should try Maniac. Finally broke 100m! I feel like I'm starting to get the hang of this mode. Definitely need to start watching replays and working on improving my route and technique, but I can clear relatively consistently now, and I'm beginning to understand the scoring a bit. Mushihime-sama is definitely one of my favorites... great atmosphere, all 3 modes are highly enjoyable, and there is so much variety. It's awesome to finally feel like I'm starting to grasp the Maniac/Ultra scoring system. Yes it was out of order, thanks for noticing. Score added. If people haven't noticed, the 20 entry limit for each category is lifted so if you have a score that doesn't stack greatly but you're still proud, please post it. Seriously ? You hunt my scores ? I probably won't play this mode much more, just wanted the no-miss clear. 1.5 Maniac maybe. A rainy afternoon's effort. I understand why it could be fun to squeeze out another 2 million, but it's not for me. I'm not sure about the autofire settings. I didn't use rapid fire at all, but I put shot on autofire manually. I didn't use auto C at all. This is the heaviest memorizer I have ever played. Ikaruga/DDP chaining, Psikyo loops or Last Hope can go home. If you play Mushihimesama (first mushi) 1.5 (Matsuri) in Original, and you end up with a 289 millions score at stage 4, you are having twice the word record. Did you mistaken with Futari 1.5 ?